The problem with the accelerated nature of the information age is that the dust of history doesn’t get time to settle. There is no longer time to tell the story, because the story is always in progress. The temptation to strike whilst public interest was hot and release a film about the rise of WikiLeaks and its mercurial founder Julian Assange was therefore a difficult one to make, particularly in light of the Manning case verdict and the recent adventures of Edward Snowden. The story is still developing at a pace, and Julian Assange is no longer the main character. You could also argue that it is the right time for Assange’s story to be told, given he is stuck in purgatory, living in the Ecuadorean Embassy. Despite it seeming like he’s a bit player now, and that the battle has moved on without him, ‘The Fifth Estate’ shows there was a time when Assange did not need to be seen, he could exist behind multiple deeply encrypted online identities. His location was not even a relevant factor. All that mattered was that he had information at his fingertips. His best work was done when nobody knew he existed. Josh Singer’s screenplay leant heavily on Daniel Domscheit-Berg’s book ‘Inside WikiLeaks: My Time with Julian Assange and the World’s Most Dangerous Website’. The film very much is about Daniel and how he perceives Assange. Daniel Brühl is excellent as Domscheit-Berg, a tech head wannabe hactivist who becomes Assange’s devoted right hand man. Domscheit-Berg is presented as the conscience of the movie, and the only person who still follows the WikiLeaks mission right until the end, as Assange develops a messiah complex and gets lost in his self-created cult of personality. Benedict Cumberbatch, one of the finest British acting talents around at the moment has a good go at mimicking Assange’s Australian accent, which takes a little bit of getting used to. In fact, the first five minutes for me was a period of adjustment, trying to get used to Cumberbatch’s version of Assange’s cloying twang. Cumberbatch is good, but I think he doesn’t quite get the magnetic aspect of Assange right. From the numerous interviews I’ve seen with Assange, there is this soft, almost playful media side to his personality, and that is not really captured here. Considering the talent involved in the film there is a lot of waste, plenty of scenes that don’t seem to serve much purpose. In particular I didn’t understand the point of the scenes featuring Sam Coulson (Anthony Mackie) and Sarah Shaw (Laura Linney) other than to try and make this more appealing to an American audience. The news clips used in the film seem to serve enough of a purpose to make us understand that WikiLeaks was arousing the suspicion of the American government. Yet Bill Condon persists with the American angle; Shaw is involved in a story where she attempts to assist a Libyan doctor and his family escape from Tripoli, but what’s that got to do with the main narrative, other then to reassure us that not all people in the American government are corrupt? If anything it takes us off track. I really liked David Thewlis’ performance as the Guardian’s Nick Davies but his role felt half-cooked. Thewlis and Cumberbatch’s tension is perfect when Davies and Assange debate about the relevance of old media outlets like The Guardian, and what Journalism used to be; to the role of new media and the rise of the citizen journalist. This is a snippet of the wider debate that WikiLeaks has ignited, encouraging us to think more about the information we are receive and not just absorb news passively. ‘The Fifth Estate’ lacks the focus of another recent tech thriller, David Fincher’s ‘The Social Network’, and if we go back further it doesn’t really learn any lessons of how to present claustrophobic intensity from the classic film that ‘The Fifth Estate’ references at least twice – ‘All The President’s Men’. If you swap the typewriters for laptops, then you’ve got a similar blueprint to the original whistleblowing story. For some reason, be it the distraction of the American government scenes or the tendency to dwell too much upon Daniel’s relationship strife, Cumberbatch and Brühl are unable to find the same space to shine like Hoffman and Redford did. In ‘The Fifth Estate’ Assange is painted unfavourably, he uses most of the people in his life, he quite literally steals their clothes, he is very much the boy geek trying unsuccessfully to be a new media rockstar. Assange’s portrayal is not even the biggest problem with the film; the main issue is how director Bill Condon presents technology. We’re treated to ridiculous dream sequences of Assange and Domscheit-Berg sitting in a mass of desks. Looking more like they’ve stumbled into an assembly hall that is about to house a GCSE IT exam. There are several crucial details missed in the Julian Assange story. 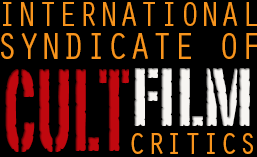 Though Assange flirts with several women in Berlin squat houses and at geek gatherings, that alleged incident in Sweden, key to his current detention, is not mentioned until the very end of the film, when a bit of text flashes on the screen. It is the hot potato Bill Condon doesn’t want to touch. 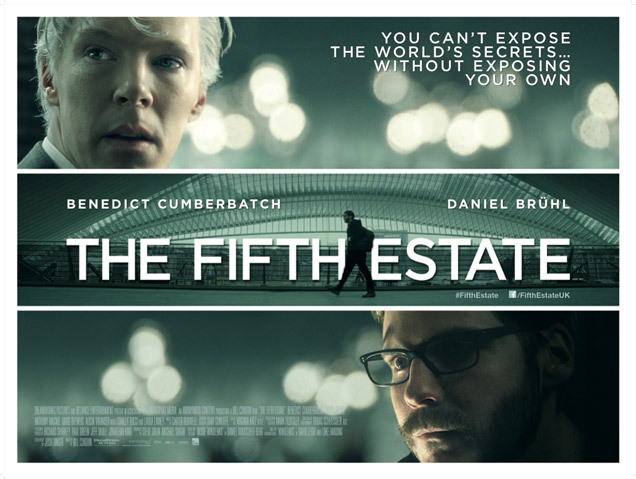 ‘The Fifth Estate’ only really tells half the story, but it is worth watching to marvel at the imposing screen presence of Cumberbatch, and the ever impressive Brühl, who like in ‘Rush’ almost steals the show from the headline act.